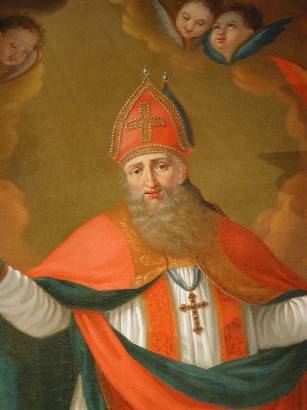 Bishop of Hildesheim in Lower Saxony; born about the year 960, in a village of Upper Bavaria, near the Abbey of Altaich, in the Diocese of Passau; Nassau; died on 4 May, 1038 canonized by Innocent II in 1131. After a lengthy course of studies he received the Benedictine habit in 991. 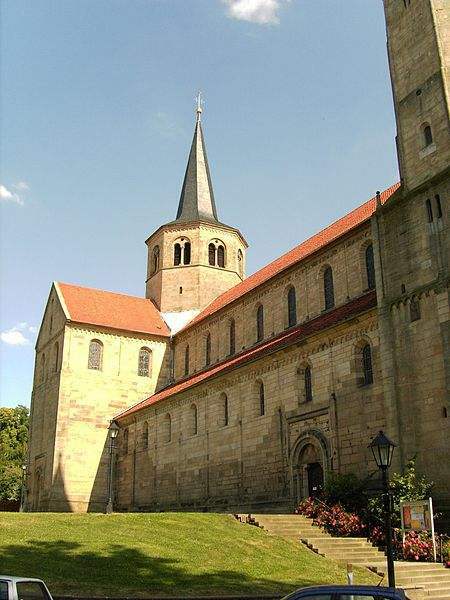 Having entered the Abbey of Altaich, his learning and sanctity speedily procured his elevation to the dignity of prior, and afterwards that of abbot, in the discharge of which sacred duties Godard went far towards enforcing rigorous observance of rule among those placed under his care. 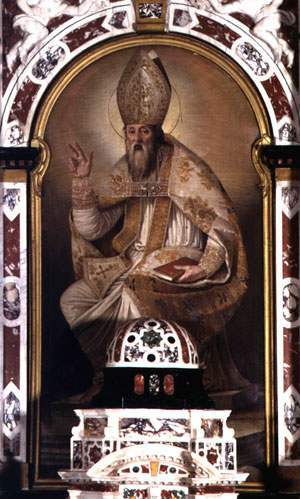 His special fitness in this department led to his being chosen to effect the work of reform in the Abbeys of Hersfeld, in Hesse; Tegernsee, in the Diocese of Freising; and Kremsmunster, in the Diocese of Passau. 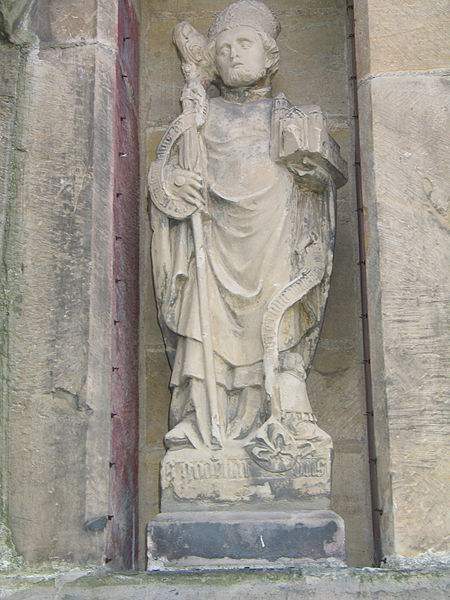 On the death of St. Bernard, Bishop of Hildesheim (1021), Godard was chosen to succeed him; but his modesty yielded only to the urgent admonitions of Emperor St. Henry II. His zeal and prudence kept up the high tradition of Godard’s cloistered activity. The monastic observance was established, as far as possible, in his cathedral chapter. He built schools for the education of youth in which he always manifested an active interest; maintained a rigorous personal surveillance over his seminary; and fostered a strict observance of the liturgy whilst attending to the building and upkeep of churches. 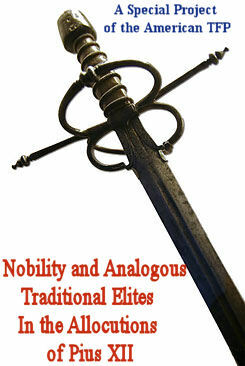 He also exercised a paternal care for the material needs of his people. Many churches in Germany honour Godard as patron and several bear his name. His letters which have come down to us exhibit a lofty spiritual tone throughout. Godard was buried in his cathedral.